Jakarta. Jakarta’s Regional Election Commission, the KPUD, will update its list of voters, known as DPT, ahead of the expected run-off election in Jakarta in April, the commission’s chairman has said. "We've had a meeting with the KPU [General Election Commission]. We will use the list of voters in the first round as a reference for the voters' list in the run-off election," KPUD Chairman Sumarno said in Jakarta on Thursday (17/02). The new list will include voters who were listed in the additional list, known as DPTb, as they went to polling stations and submitted their credentials despite not being listed in the initial voters’ list there. Sumarno said they will also include Jakarta residents who were listed in the DPT during the first round but failed to turn up at polling stations. The KPUD will try to make sure that all eligible Jakarta residents will be able to use their voting rights in the run-off election, though Sumarno admitted it is short on staff to collect the voters' data. It has already started putting in data from polling stations in the capital since Wednesday afternoon. Manual data input from all around the capital is expected to continue until Feb. 27. The KPU is expected to announce the official results of the election two weeks from now. Around 7.1 million voters are registered in the country's capital city of Jakarta, where the race for governor is turning into one of the more divisive political battles in the country's democratic era. 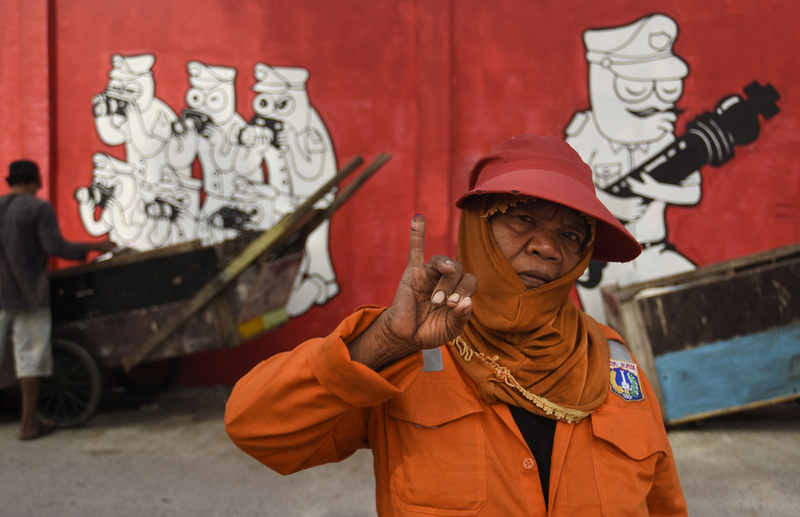 The Jakarta election has inflamed religious tensions and has been colored by numerous intrigues involving senior politicians that include plot accusations, legal battles and charges of conspiracy. If none of the candidates manages to collect more than 50 percent of the votes, the election will proceed to a second round, which will only feature the two top candidates. The second round is scheduled for April 19.